Nye County Commissioner Dan Schinhofen said he will advocate for the restart of the Yucca Mountain licensing application at the 11th annual RadWaste Summit in Summerlin. Horace Langford Jr./Pahrump Valley Times Nye County Commission Chair Dan Schinhofen will participate in the "Yucca Mountain Restart" panel at the 11th annual Radwaste Summit in Summerlin on Sept. 6. Schinhofen, one of the most fervent supporters of Yucca Mountain among Nye County officials said he plans to advocate for the restart of Yucca Mountain licensing application during the panel. Special to the Pahrump Valley Times- Bob Halstead, executive director of the Nevada Agency for Nuclear Projects is set to participate in the "Yucca Mountain Restart" panel along with Nye County Commissioner Dan Schinhofen at the 11th annual Radwaste Summit in Summerlin on Sept. 6. The summit will take place on Sept. 5-7 at JW Marriott at 221 N. Rampart Blvd. in Las Vegas. The event is set to bring a few hundred commercial and federal radioactive waste professionals and influencers to discuss updates, upcoming projects, and how the Trump administration will impact waste processing, storage and transportation, according to the news release. On Sept. 6, Schinhofen will participate in the panel titled “Yucca Mountain Restart” along with Bob Halstead, executive director of the Nevada Agency for Nuclear Projects. The panel is scheduled to take place from 8 a.m. to 9:15 a.m. The panel will be focused on the state of play around Yucca Mountain in Washington, D.C.
“The state of the licensing process at the federal level and the state’s continued obstruction in the rule of law,” Schinhofen said in a statement. 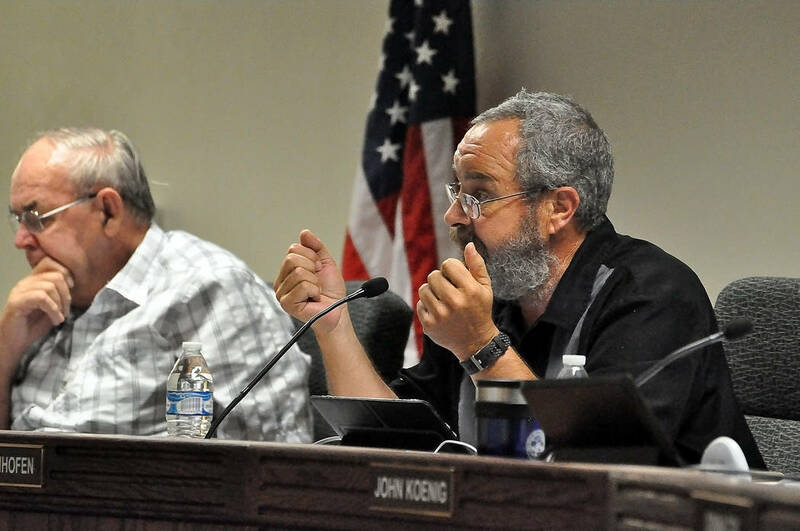 Schinhofen, a Nye County liaison for nuclear matters, and one of the strongest supporters of Yucca Mountain among Nye County officials, said he plans to reiterate some of familiar lines during the event. “Let the science speak louder than politicians and the state needs to engage while they still have leverage,” he said. Yucca Mountain was presumed dead after it was mothballed by the Obama administration, but that has changed since the Donald Trump administration took over the office. Trump allocated $120 million for the U.S. Department of Energy to restart the Nuclear Regulatory Commission’s licensing in its budget blueprint that is yet to be voted on. Earlier this month, the Nuclear Regulatory Commission also voted to restart the licensing process for nuclear waste storage at Yucca Mountain. The restart of Yucca Mountain is widely opposed by the Nevada delegation, however, officials in Nye County see the project as economically beneficial for the county and state.